I just got a new Mac and can finally get a chance to play with OpenEmu. Does anybody else on here use this emulator? How are you finding it? I finally get to try 7800 and Vectrex, w00t! I use it often, it has such a nice looking (and easy to use) interface. I think you will like it. OpenEMU is my primary console gaming emulator when not running a raspberry pi. Not strictly emulation, but I also use ScummVM, Spatterlight and ZDoom. 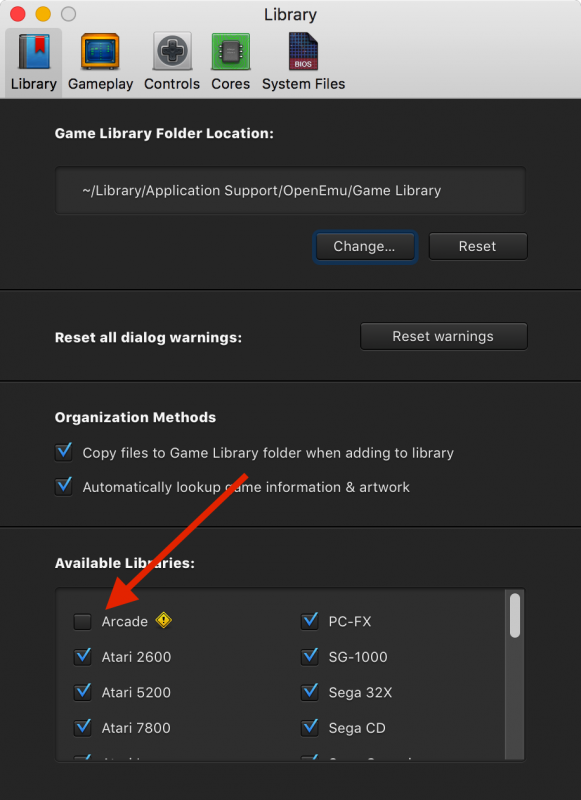 I've documented how to rip some of your Playstation games for it. TIP: If you download the Experimental version you can enable MAME support for arcade games. 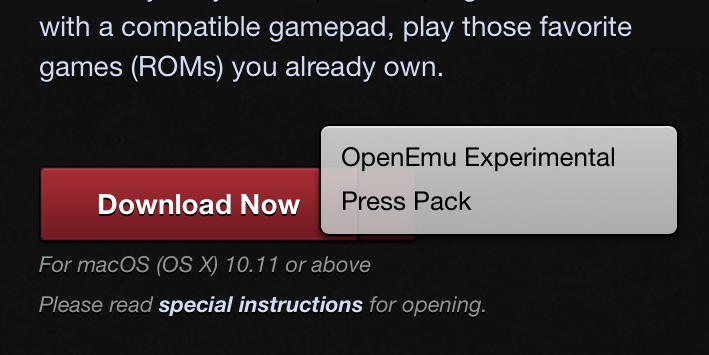 On the OpenEmu page click the arrow instead of Download Now to find it. Hey thanks for the tip. Really excited about MAME support. I will have to see how it's implemented as MAME kind of has its own built-in UI. And then you've got to find ROMs that match your version which is a big pain. I was happy to see that they were using Stella for 2600, but didn't realize it was such an old version. They are using 3.9.3.2 vs the current version of 5..0.2. I wonder why they are using such an old version. Right now I've gotten myself lost in the TurboGrafx library. I've never had much of a chance to play it until now! Keith Courage FTW! Hey maybe I should have just resurrected the old 1.0 thread instead. If the mods think it's a good idea maybe they can merge this one with that one. 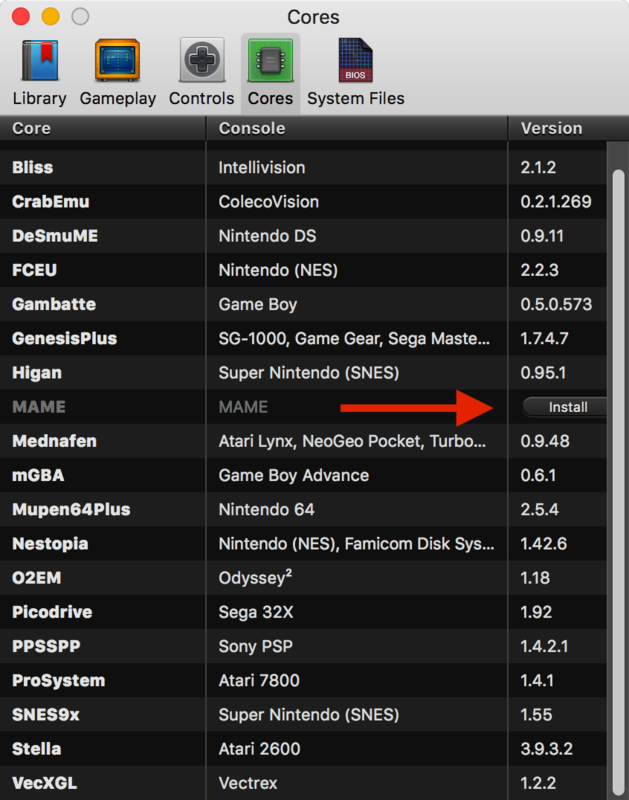 The MAME core in OE is a really old one (0.149), Current MAME is 0.193 so it's about 4 years old. There is no way to get to the MAME ui so it's impossible to reconfigure your controllers for 'special' games, no mouse for arkanoid or star wars, two sticks for kung fu master, that kind of thing. I build MAME from source every month when the new one is released (There's one due tomorrow) and put it online to download so thats easy to get working. I can walk you through setting it up if you like. You do get more recent cores with Retroarch, but I could never figure out how to to get it to work... more accurately, I didn't want to spend time to figure it out. OpenEMU is almost plug and play, especially with certain controllers. Sometimes the analog control would get stuck. On occasion Spyro would keep walking even though I'd let go of the stick. If I move the stick around it'll unstick, but I did die a couple times when Spyro walked off a ledge. I have Playstation controllers paired with my Mini and have not run into this problem with other games, so there's something up with OpenEmu's emulation of the analog sticks. 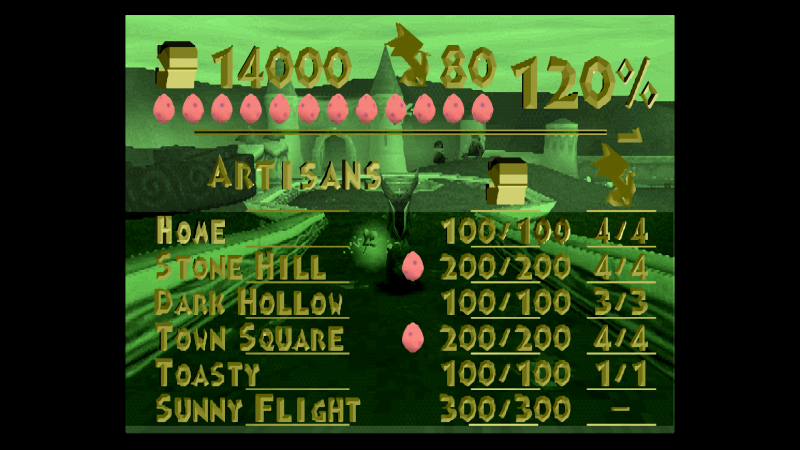 One thing I don't like about emulators is that for games that I haven't played before, I don't know if the emulation is accurate or whether things are screwed up like you just mentioned about Spyro on older versions. Finished it! 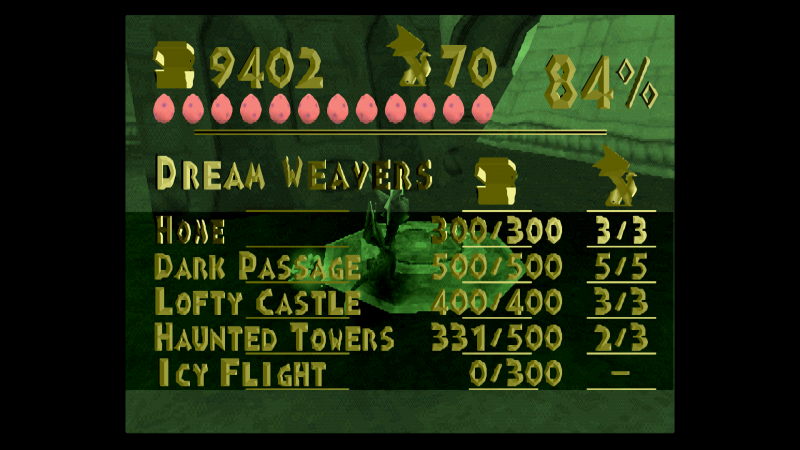 The extra 20% is for finishing the bonus level, it unlocks when you hit 100%.